Thumbs up to that 1. Correct. M6 J20/20A Lymm interchange. There is also a service station at J20A (I think its called Poplar 2000) that you access by turning off at J20. I've not been here for a while but awesome to see new dev on Scotland. Cant wait to explore more Scottish roads always loved Scotland when u guys made it what it should be with some well deserved tlc. keep up the great work guys. 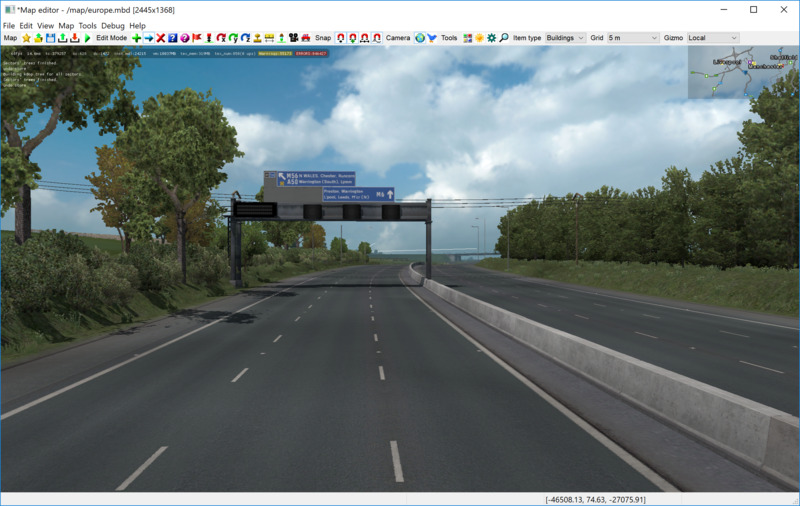 I like what you guys have done to the UK so far, it's a heck of a lot better than SCS tried to be. Now I'm just (not so) patiently awaiting the arrival of Cork! Also, is it possible or are you allowed to use the prefabs from Beyond the Baltics and Scandinavia in the UK? Just to add more companies for jobs. Is it possible to make prefabs for real motorway services in the UK as most motorway services in SCS ETS2 are standard filling station.